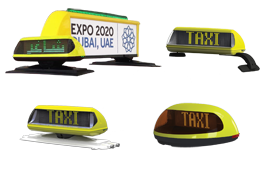 Do you want to make your smart taxi system even smarter and more feature rich? 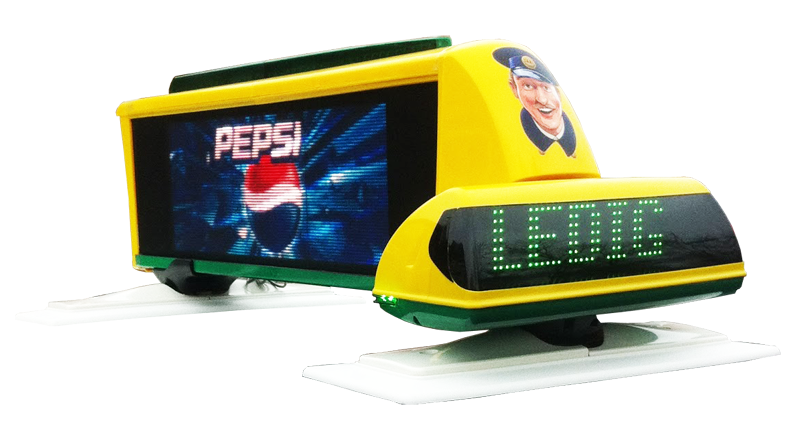 An integration to the iToplight adds value and smartness to your product by providing an interface to the outside of the vehicle for interaction with the public. Show any information at any given time and any given event. Use sensors and other information from your system to decide when to show what. Show pricing, booking information, advertisements, public information and more. Integrating with the iToplight is a fast and simple process. The easiest way is to integrate a serial output (RS232 or Bluetooth) from your device to the iToplights bluetooth interface. The protocol is straight forward and if your developers have integrated towards another serial device this is no different. Several dispatch and taximeter companies have already made their products smarter by integrating with the iToplight. Do as CERT Telematics, Cabman International, Mextax, Holmedal, Blue Lion Solutions, OTT/CenCom and many more - add the iToplight to your taxi system. Apart from adding value to your own product offering, becoming an iToplight integration partner can also give revenue through kick-back. 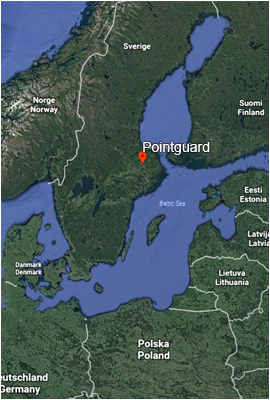 Pointguard offers integration partners a fair cut on all iToplights that are sold through our integration partners, either directly or through warm welcome. For partners that want to take a more active role in iToplight sales, Pointguard can offer demo units, marketing and sales material and support, all to facilitate your efforts to get iToplights on the market along with your products. Do you want to know more about the iToplight roof signs, or would you like a demonstration? Contact us and we'll get back to you with more information and will put you in contact with our closest local representative.